‘I can’t remember anything because I am so old and very little has registered,’ she declared to me, shaking her head in feigned disappointment, before regaling me with the tales of her formative years in Wellclose Sq which you can read below. In the East End, Jacqueline discovered two prevailing passions which remain with her to this day. 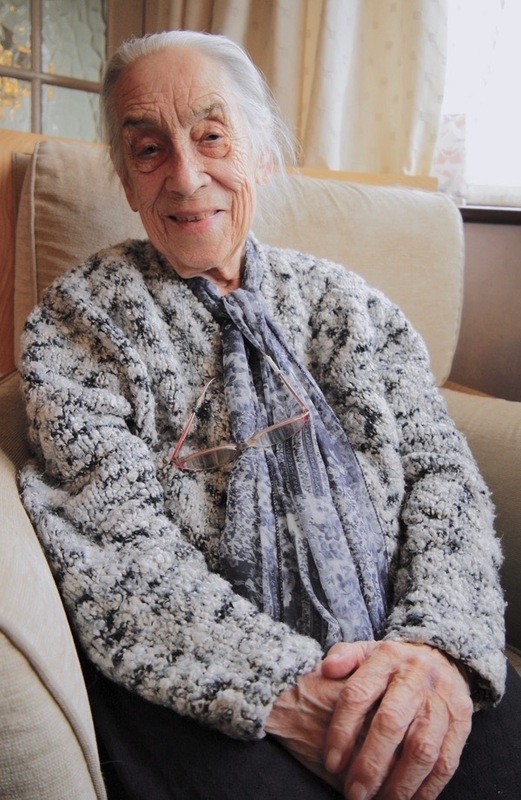 She began her career as a teacher in Poplar in her twenties and, seventy years later, still tutors children at home. She remembers visiting the Whitechapel Bell Foundry over half a century ago and has been an enthusiastic handbell ringer for more than forty years, still practising several nights a week. With high cheek bones, classical features and with her long white hair pulled back, Jacqueline possesses a commanding yet magnanimous spirit. She is well spoken, with precise diction and elegant consonants, and it was my privilege to listen as she told me her story in her own words. “I was born in 1926 which makes me ninety-two years old. I was born in Ilford and my father, George Thompson, was an analytical chemist and worked for the Gas Light & Coke Company. My mother Elise was French, from Saint Omer in Normandy, she was a hairdresser and people came round to our house to get their hair done. She was coming over to England one day and he had been to France, and they met on the ferry. My grandfather lived at 7 Campbell Rd in Bow and was a ship’s carpenter in the London Docks. At some point, they asked for a halfpenny an hour wage increase and it was refused. After nine months of stalemate, the company closed and he was out of a job. We used to visit my grandparents in Bow, they had a tiny front room, a backroom and scullery with a tin bath. The Gas Light & Coke Company had a gas substation in a house in Wellclose Sq in Wapping and we moved there in 1937, when I was ten years old. 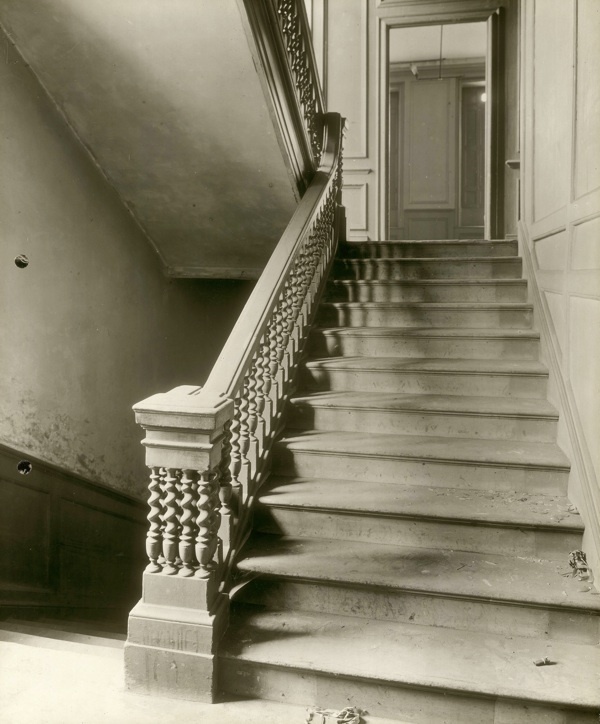 The first floor rooms were kept locked and my father had to check instruments through a glass panel in the wall. In the kitchen, during the war, there was a disc on the wall and it had a pen attached which we had to fill with ink. It drew a line that recorded the gas pressure. Sometimes the gas pipes were hit by bombs and the line dropped – there was no gas at all. It was a lovely house with sixty-seven stairs from the bottom to the very top. The bathroom was at the top of the house but at some point somebody had built a lavatory in the yard. It was not very large but it was fascinating because it was castellated. You had to climb thirteen steps from the kitchen to get outside and then walk down this little yard to reach the castle at the bottom. Looking out from the front of the house into Wellclose Square, you could see the church and St Paul’s School and trees. It was very peaceful and I am sorry it has gone. When we came to the East End from Ilford, it seemed a dirty and noisy place. In those days, it was mainly a Jewish quarter. Old ladies would be sitting outside their front doors after they had whitened the step, which they did every day. I can remember a lot of live chickens being sold. At school, the East End children thought we spoke funny. We did not know how else to speak. We spoke as we had been brought up. I was never more than an average pupil and I do not remember having school friends. I was only there about a year before I was evacuated although, towards the end of the war, I came back every weekend. St Paul’s School was closed because all the children were evacuated and it never reopened in my time there. Consequently, the square was empty and always very quiet. I had a brother George and a sister, Andrée. Our bedroom was at the top of the house and my sister did something frightening. The window opened onto a sloping roof, where there there was a gully and parapet. Lo and behold, if she did not get out of the window – which we had done several times – and stood in the gully. She walked along the top of the parapet and she survived. I was something I was never temped to do. Sometimes we could hear ships sounding in the docks. Wellclose Square was very big and there was the Highway beyond and the docks were over a wall on the other side of the Highway. It was not traffic we heard, it was the sound of the ships. We never visited the docks. We were well insulated inside our house, I do not think we opened the windows very much. Certainly not at the front. We were never cold, we had gas lights and gas fires. 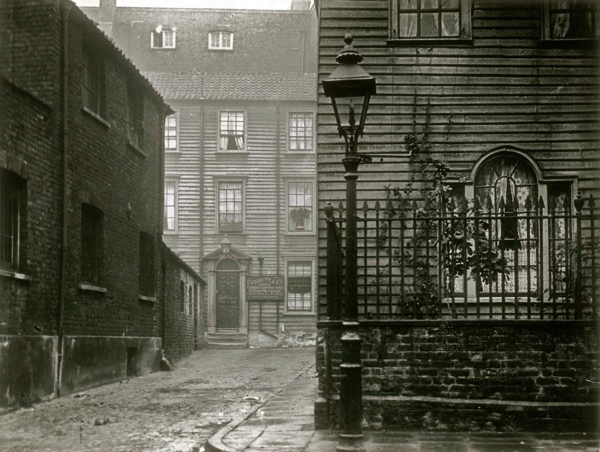 You could go in the front door, walk down the passage and switch on the gaslight, which we thought was very advanced. You had to handle the gas mantle very carefully when you replaced it. I do not know when we got electricity. We used to swim in the Thames by Tower Bridge. You could go down the steps and when the tide was out there was a gravelly beach. Lots of people went. We were always on our own but we did not come to any harm. My father was only forty-eight when he died. He was still young but he had been ill all his life. He had a damaged kidney from a fall in the school gymnasium. It atrophied and finally he had it removed. He was born in 1900, so he was too young to serve in the First World War. During the Second World War, he was issued with a gun and he had to be able to shoot at a packet of cigarettes at twenty metres. I remember hearing the sirens one Sunday morning and I said to my sister, ‘You know that means we’re at war.’ George, Andrée and I were evacuated to Egham in Surrey for four years, next door to where aircraft were being built. It was quite a dangerous spot. Once I looked up and I could see a dogfight overhead. My brother was sent to Virginia Water, and me and my sister were sent to Thorpe Lea. Our school was in a large house in Englefield Green. The lady who took us in was the widow of a Methodist minister and life was very quiet. There was no radio and we were not even allowed to knit on a Sunday. It was a strict life but we survived it. We came back whenever we could and I remember being in London when the doodlebugs came over. We would come back to London on the Friday night and leave again on Saturday afternoon. 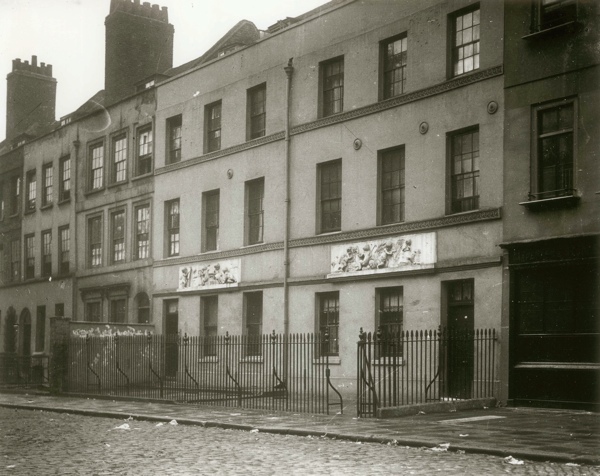 There was not a lot of bomb damage around Wellclose Square. Although the eighteenth century houses were jerry built, when bombs came down, the houses blew out and lurched back again. The only shelter we had was a wine cellar underneath the pavement with an iron door. It was the best we could do, but we did not feel vulnerable. Gradually, people drifted back to London. When I returned to live in Wellclose Sq, I was approaching eighteen and I went off again to college to train as a teacher in Southampton. My brother and my sister moved to Bethnal Green. He had cerebral palsy, so walking was difficult for him but he got around and he became a proofreader for a newspaper. Once I became a teacher, I taught back in the East End in Poplar. In those days, we had classes of at least thirty and they spoke cockney. I had a pile of comics and I would make the children go to the cloakroom and wash their hands before I handed out the comics, because they were precious. We had to store them and bring them out again and again as a special treat for the children. We wanted to teach respect for the written word. 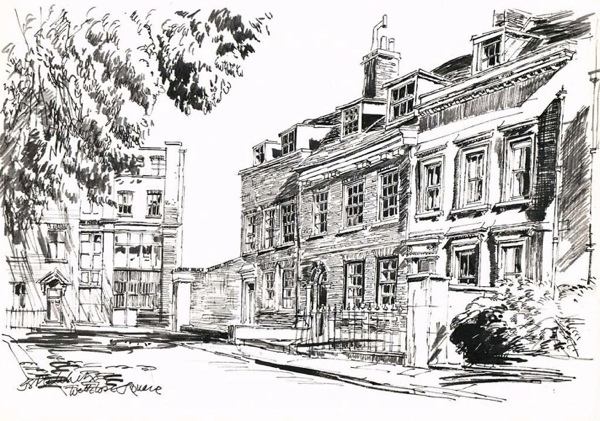 Geoffrey Fletcher’s drawing of Wellclose Sq, 1968. I recommend listening to Ludovico Einaudi’s new album ‘Seven Days Walking’ whilst reading this article. Like wine and cheese. What a life and its well documented by GA . French name and Mum that’s nice, old London features well too. Poet John Shirehampton Bristol a bus pass poet not always on the move. Thank you for taking the time and trouble to bring Jacqeline’s story to to us. It is so important not to lose the memories. Thank you for sharing these wonderful memories. They make Wellclose Square come alive. I also appreciated the stories about teaching; I shall remember the idea of using comics to instill respect for the printed word when teaching my own students! Some wonderful gems here despite Jacqueline saying she remembers nothing because she’s old! I rather like the image of a castellated outside lavatory. Thank you for capturing her memories. 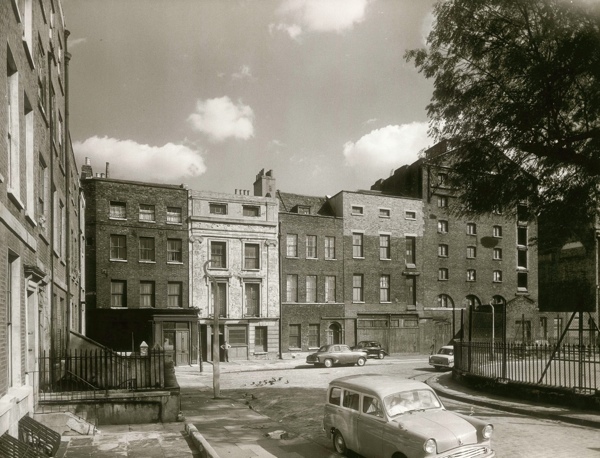 Loved reading Jacqueline’s recollection of Wellclose Square. 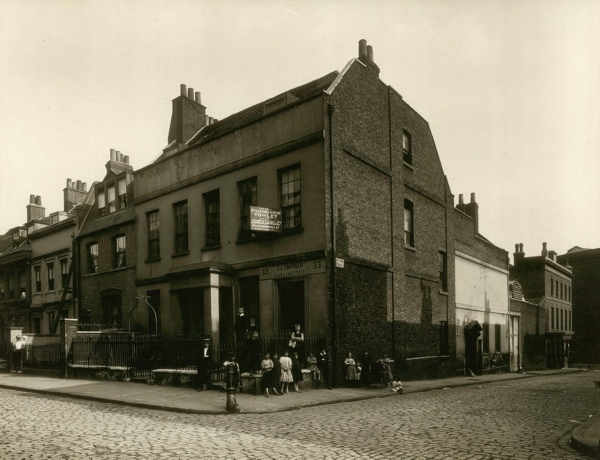 I’m not surprised she said she was nervous to walk down Cable Street as the infamous George Chapman aka Seweryn Antonowicz, the Polish serial killer, lived and worked at number 12 in 1888, now home to Jack the Ripper museum. 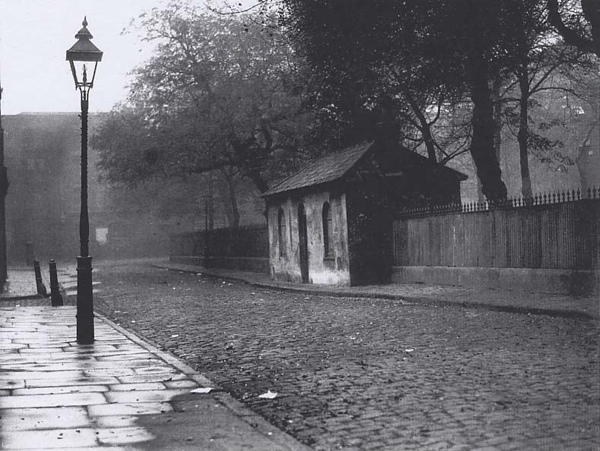 Interesting but dark times in London’s Victorian history. 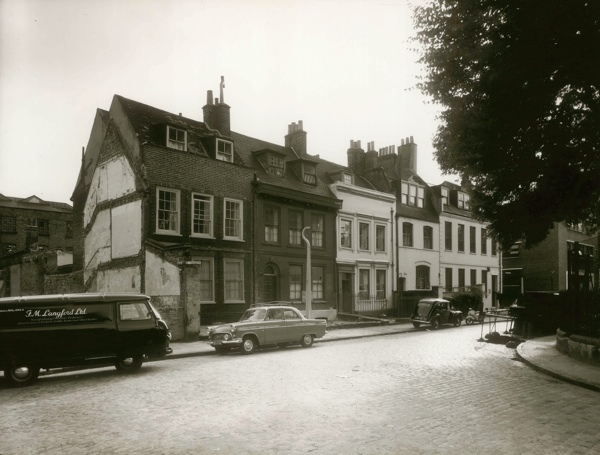 Thanks to Jacqueline Billings for sharing her memories of Wellclose Square and for the lovely images that are a pleasure to view. I have been interested in some of the residents who lived in the square and shared their enthusiasm for science in the 1830′s namely Dr Nathaniel Ward of no. 7 , who was also a botanist with concerns about atmospheric pollution. At No. 50, Edwin J Quekett hosted the formation of the Microscopical Society; which grew from the improvements made in the instrument’s lenses, made by Joseph Jackson Lister. At no. 51 lived the Rev. William Quekett who Dicken’s wrote about in his Household Words. A third Quekett brother wrote a treatise on the use of the Microscope (1848). 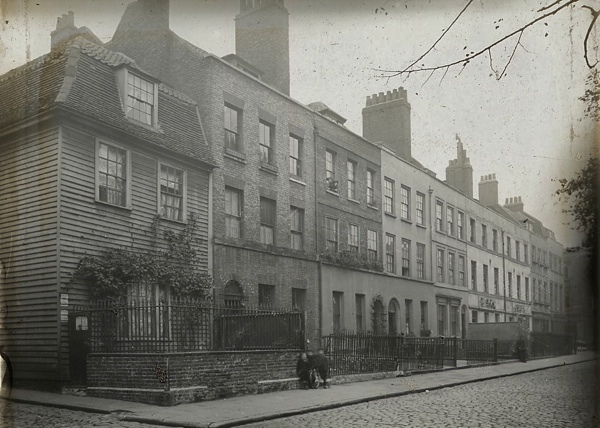 The Society drew members from many varied disciplines of medicine, chemistry, Horticulture etc., but the wealth of experience and knowledge that was propagated during the 19th century in Wellclose Square, I believe should be commemorated in some way.